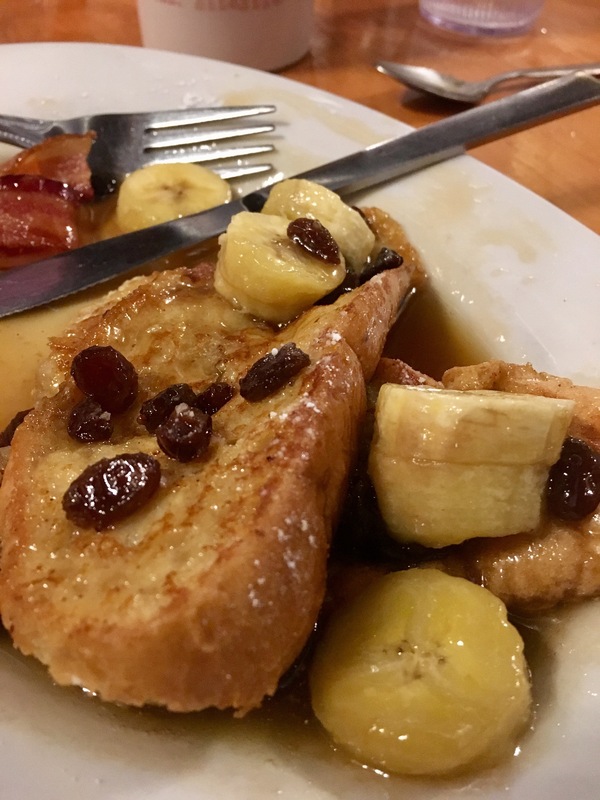 In the first in a series of posts (she said back in April), I explore breakfast through dinner on my big ol’ family holiday this year in Chicago and New Orleans. 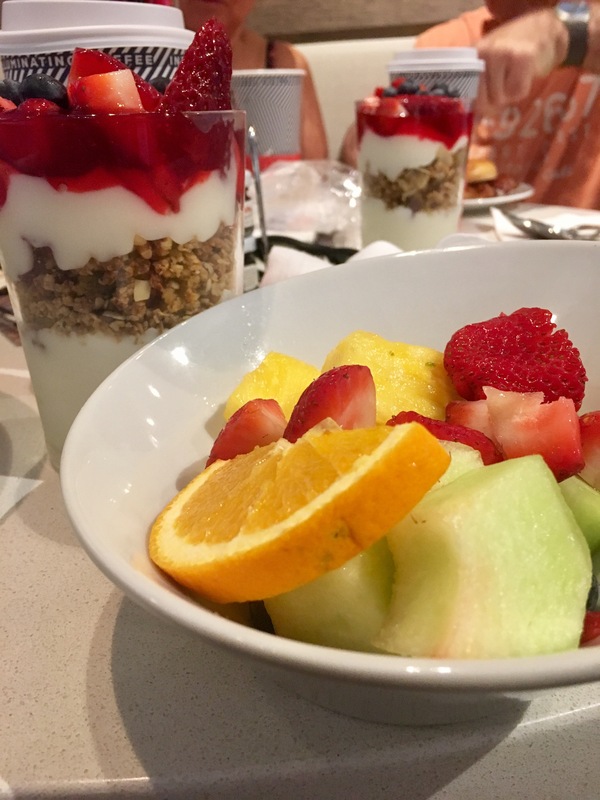 NOTE: breakfast in Chicago was a hotel jobby (waffle machines n all) so I will mostly be talking about our second city stop in this here breakfast blog. So here we are in New Orleans, Louisiana. An unsung American gastronomic capital, there were plenty of NOLA must-tries on my to-eat list. It’s our first breakfast in a new city, in an unfamiliar part of America. A hungry family of six plus baby with stroller. Nothing to go wrong. 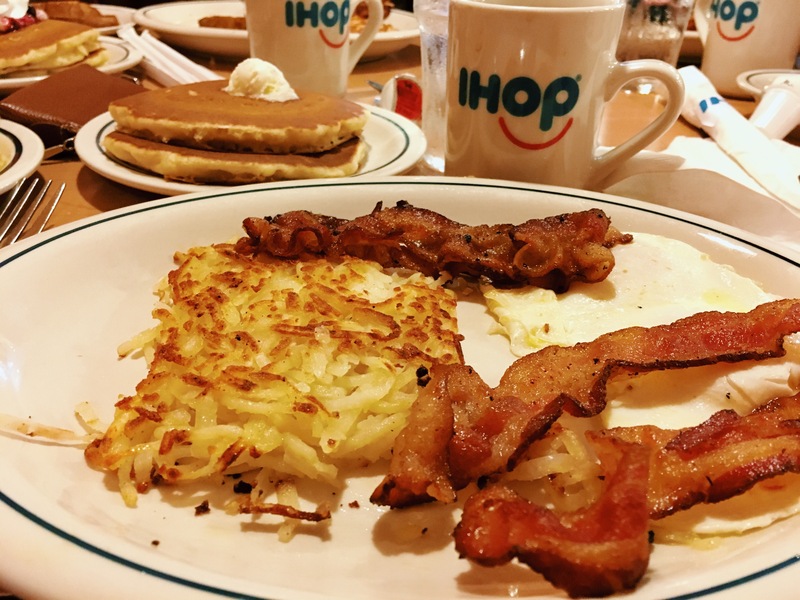 Having had great experiences of old school diners on the corner of our hotels on previous American road trips, from NY to San Fran, usually featuring the exceptional breakfast hash and loaded pancake stacks, the expectation is always high when it comes to finding ‘that’ breakfast spot. 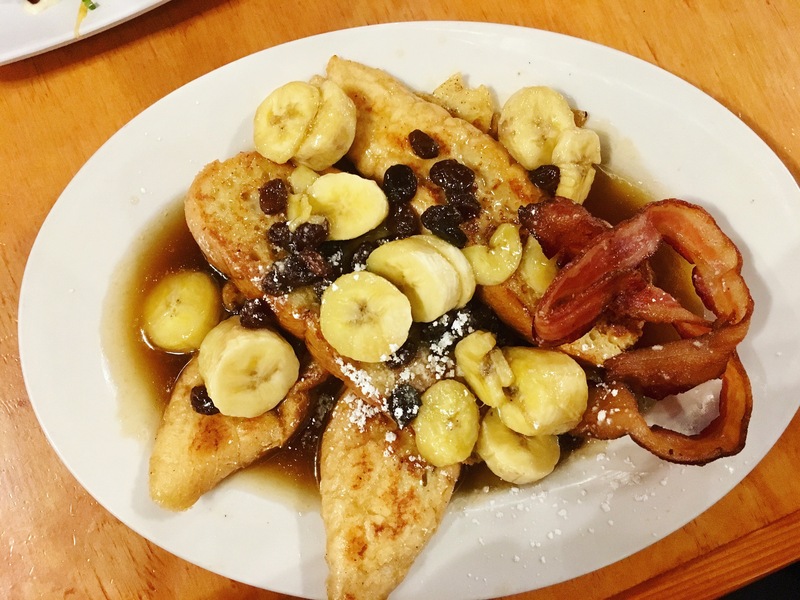 With two breakfast cafes equidistant around the corner from our hotel, we were in for a taste of the old and the new American breakfast scene within two blocks of each other. It’s around the corner from our hotel on the main drag, Canal Street, and clearly an American breakfast chain staple. Unbeknown to us, they’re actually EVERYWHERE; Dubai, Thailand, the Northern Mariana Islands… and I originally thought they were big because they had their own Snapchat filter 🙄. Anyway, wherever you find IHOP, it seems the menu is HUGE and you can basically have anything you like. 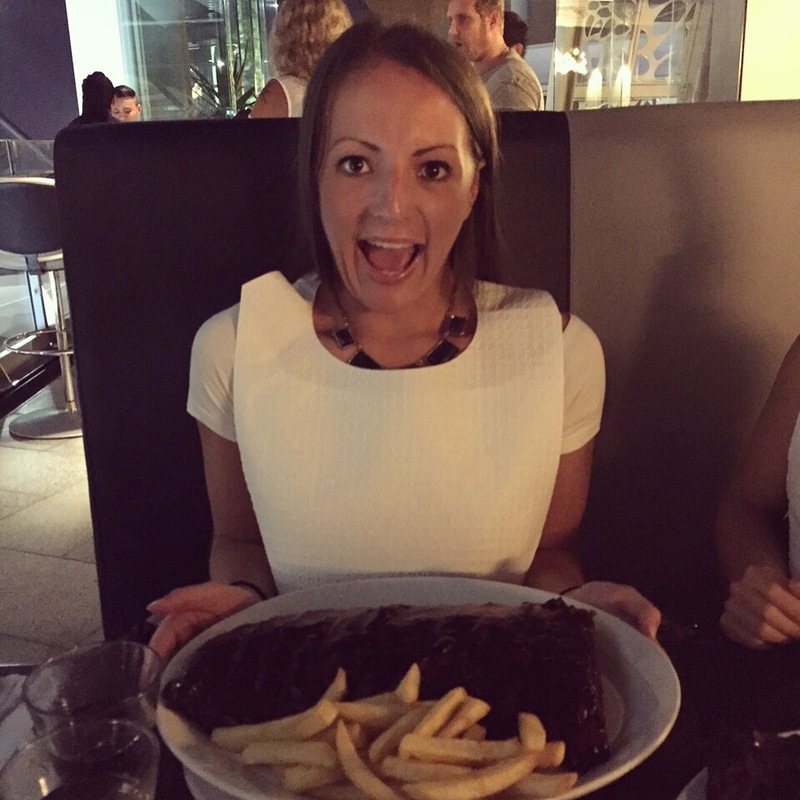 Hot/cold; sweet/savoury; big/small; unhealthy/heart attack enducing – you name it, they’ll probably make it for you. ‘Bacon lovers’, pancake stacks, crêpes, waffles, egg favourites, COMBOS (best one), it’s all there. 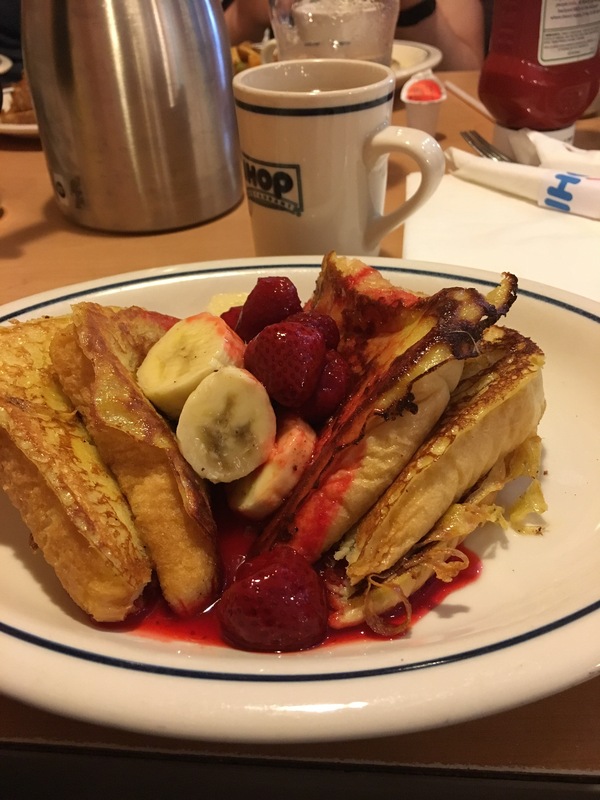 They also do French toast pretty damn well as I found out with the strawberry and banana choice 😏. 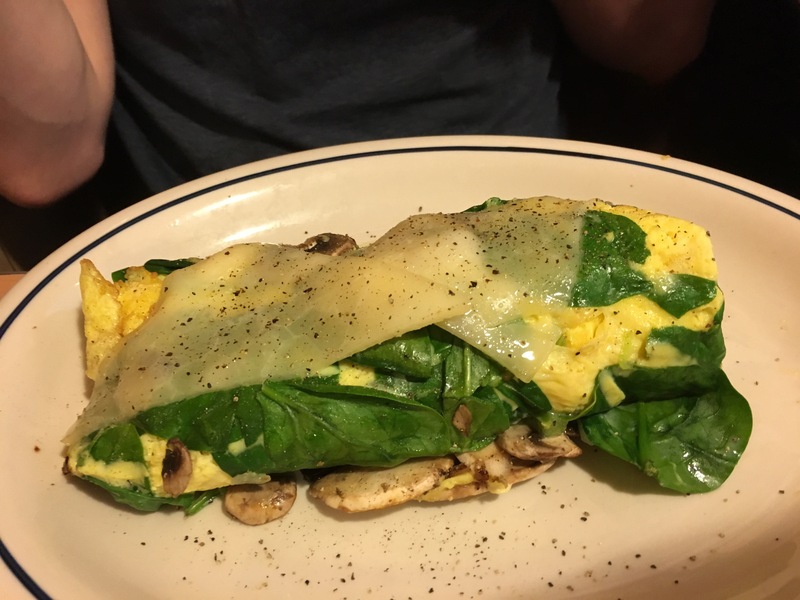 The jam packed omelettes weren’t bad either for a ‘lighter’ option, bar their gigantic size and sliced cheese plonked on top. 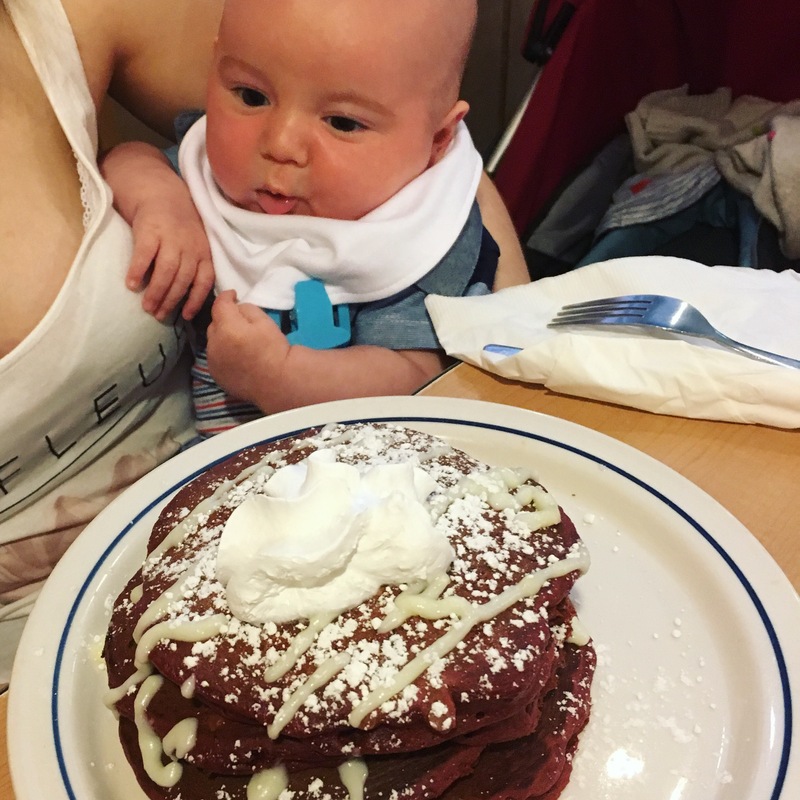 The second time we visited IHOP, things had got even better. The new ‘Spring Fling’ menu had launched and you could have all sorts of breakfast combos with flavoured pancakes. AS A SIDE. So, quite literally, blackberry cheesecake topped pancakes, ON THE SIDE of a fry-up. What a winner. A bit like the UK, there’s plenty of places stateside where you can pay between $15-20 for that ‘grammable breakfast. When actually, 80% of the time you just want someone to make you the breakfast items you desire, together or as various breakfast ‘courses’, without you having to make it, wash up after it or pay over the odds for it. 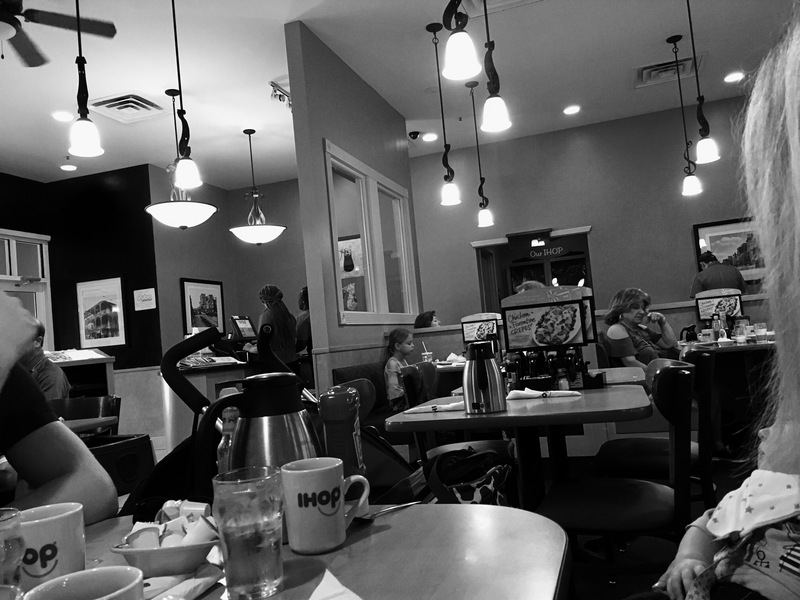 At IHOP, you’re looking at around $10 plus just a couple more for drinks (refillable coffee) all in. The real pleasure to be had is in the atmosphere you actually feel and the food you actually eat. IHOP had just what we wanted: refillable coffee (though yes, average) from a proper diner decanter, Pulp Fiction style, waitresses who don’t write down your order but then shout every single accurate detail through to the kitchen and an endless breakfast menu that answers whatever your heart desires. 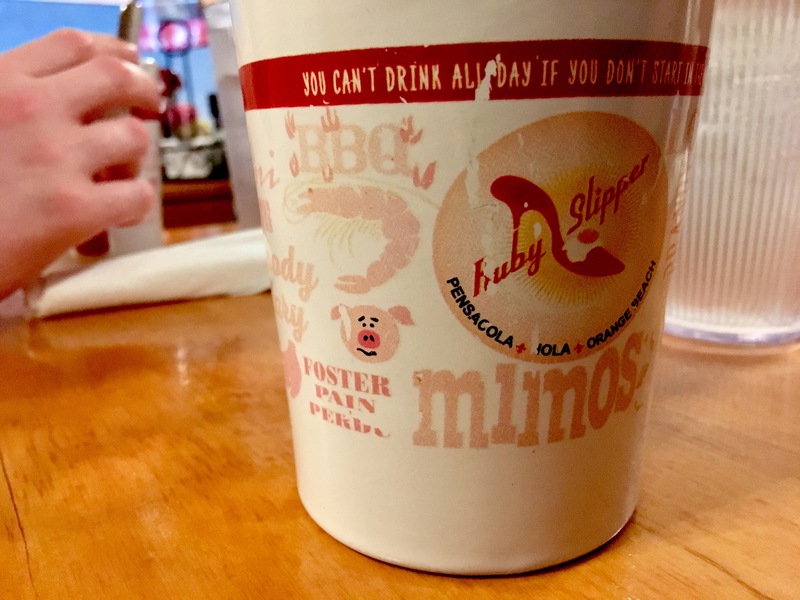 HOWEVER, of course, I did have to go on the hunt just a little bit, so I took the recommendation of a kind college girl who told us about the Ruby Slipper Cafe on the plane journey over. 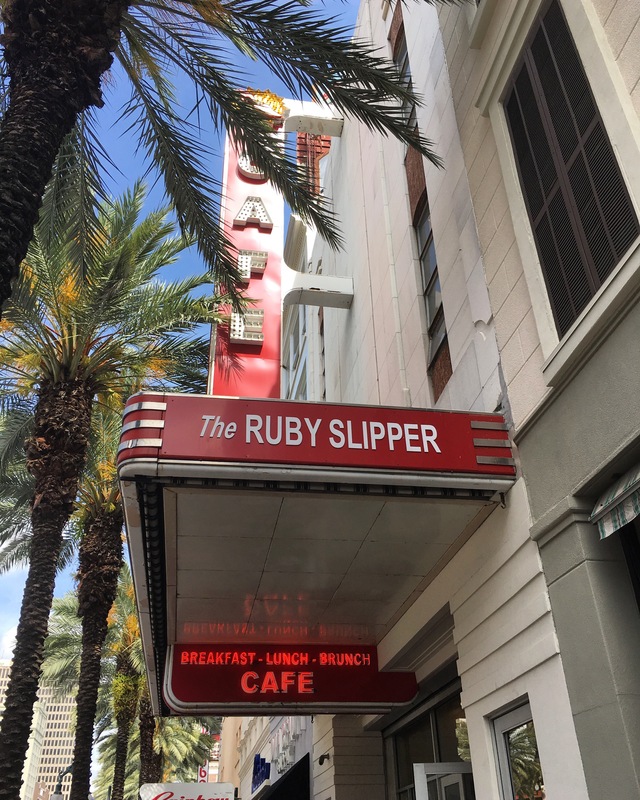 Wanting to retain a sense of home and belonging after Katrina ripped their homes and city apart, a la Oz and Dorothy’s red slippers, Ruby Slipper Cafe was born. 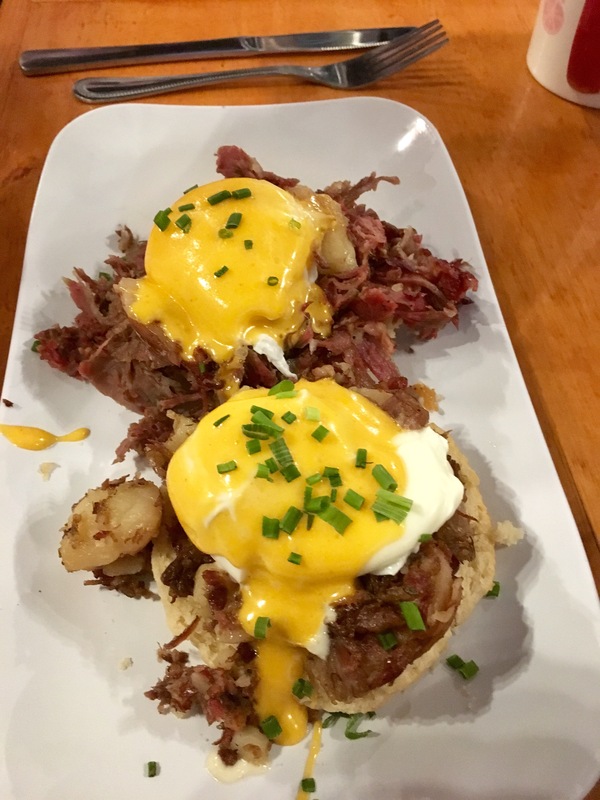 They boast a typical American brunch menu with alllllll the options you could dream of, plus some interesting added extras and fancy twists on brunch classics. Oh. my. lord. 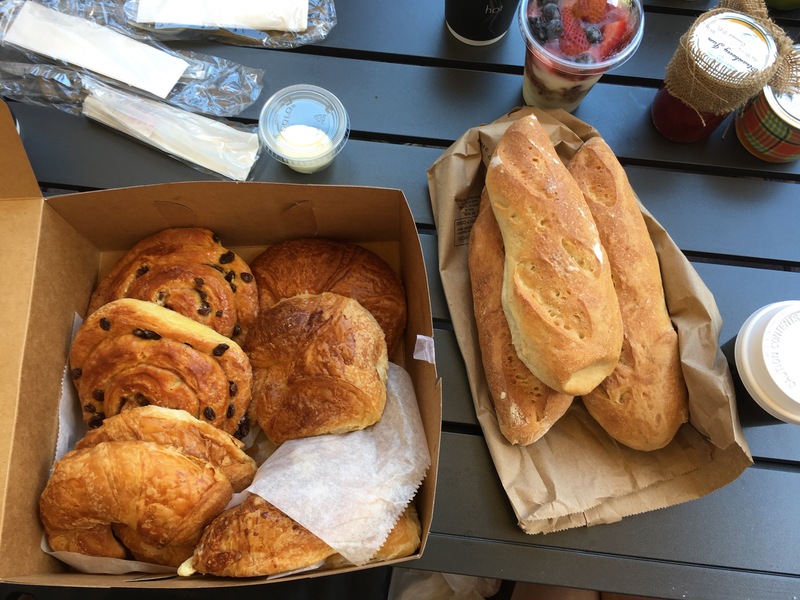 I still can’t believe I actually ate every single crumb of this breakfast. How I consumed probably a week’s worth of calories/sugar before 10am on this day without feeling sick once I may never know. I would (probably) do it all again. Ruby was slightly pricier than IHOP, probably looking at $15-20 for one of their larges plates plus coffee. More if you want to go for the cocktail option. But with a few venues knocking around NOLA thanks to post-Katrina success, I’d definitely recommend giving one of them a go. There’s so much good stuff to choose from. Banana pecan pancakes, the tex mex egg scramble, shrimp boogaloo benedict (shrimp, pork eeeeggs). Yep, I’m hungry already. 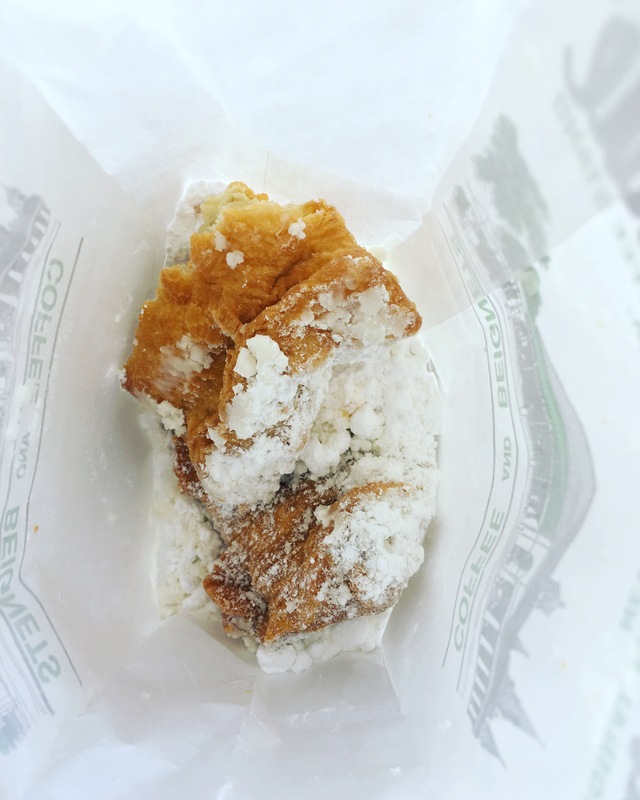 Beignets: because everyone has to try the famous beignets of Cafe du Monde. However I for one would rather not queue and have to sit next to bucket loads of perspiring tourists crammed into a crack den of icing sugar. Plus getting takeaway means you get to delve into one of these cute takeaway paper bags. Aaaand Oats, banana foster style with added walnuts: again from Powdered Sugar. As I said, New Orleans is undoubtedly full of cool, hipster places to have breakfast/brunch. We cycled out to Bywater on our final day, a neighbourhood just outside the French Quarter, and would definitely recommend heading out there for some fresh air/coffee/all day people watching from a cafe. We just so happened upon Who Dat Cafe and enjoyed it loads. I’ve written about just a few NOLA spots here. Whether you want to note them down for your eventual visit or not, there’s plenty to go at in the eclectic city of New Orleans, we enjoyed it a lot. This is making me soooo jealous!